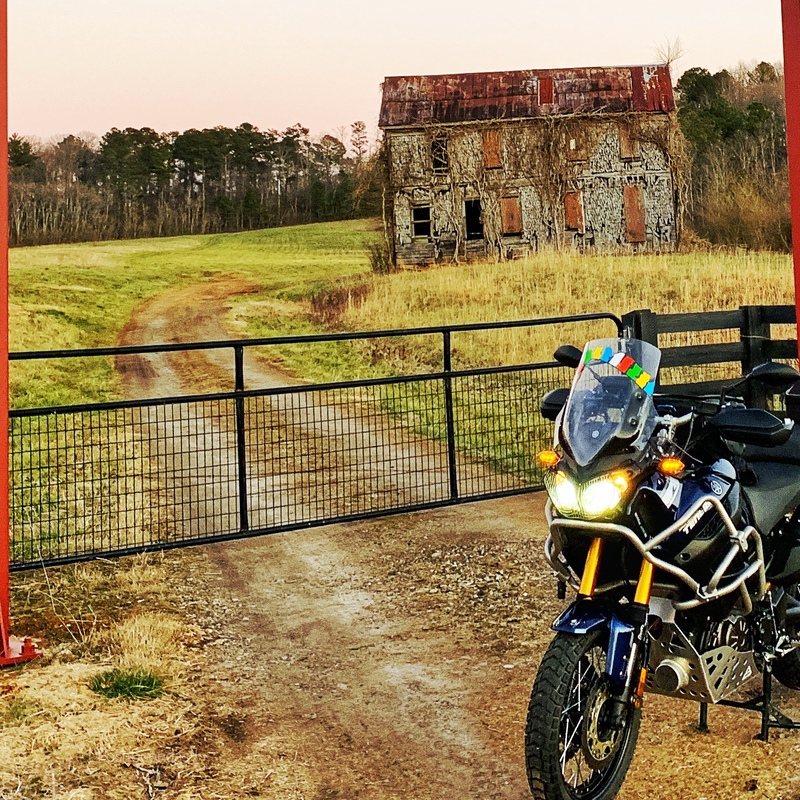 I wrote about and photographed the Gold and Grass Farms Gateway in my ‘The Thaw Out Ride’ a few days ago. Little did I know that unknowingly, I was taking a photograph of History! 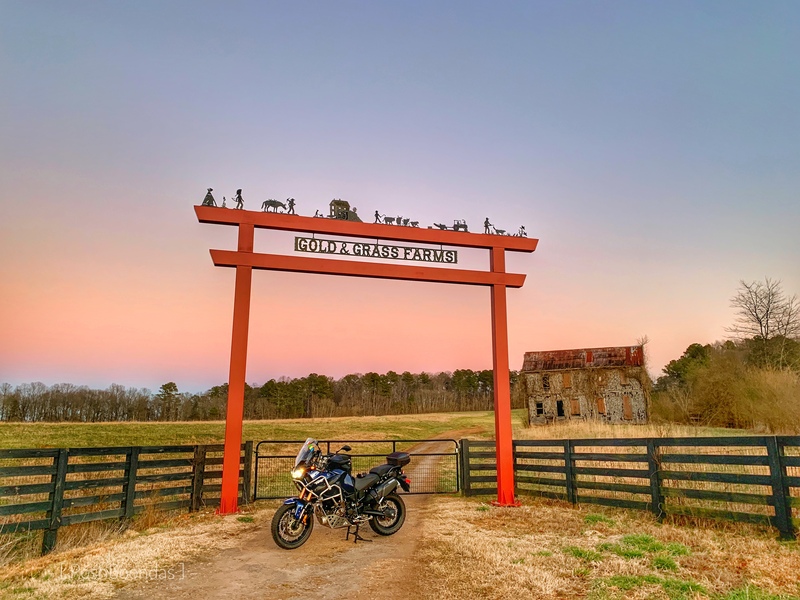 Besides some very interesting information on the Gold & Grass Farm itself, I realized that an old barn like building in the background of the pictures was of significant importance. Being Winter, the building and its structure was clearly visible. But on taking a closer look, the bare branches of a vine can clearly be seen. Come Spring and Summer, I expect the wooden building to be covered with Vine hiding away the wooden structure. This is the last remaining building from the Creighton/Franklin Gold Mine Complex, which was the most significant gold mine in the County. Gold was mined from this site for approximately 70 years, from the 1830s to around 1907. In 1896 the complex included a complete mining plant with large stamp mill, a chlorination plant, assay laboratory, blacksmith shop, stables, miners’ cottages and a dam with 2 large turbines to generate power for the site. The “Shingle House” was built during the 1880s and since then it has been used as a commissary, offices, post office, boarding house, and a small stamp mill where local residents could sell gold ore. The building has been empty for many years and recently been used to store hay. The threat for this building is neglect and possible development for the site. Possible solutions include working with the owner to make necessary repairs and maintenance. 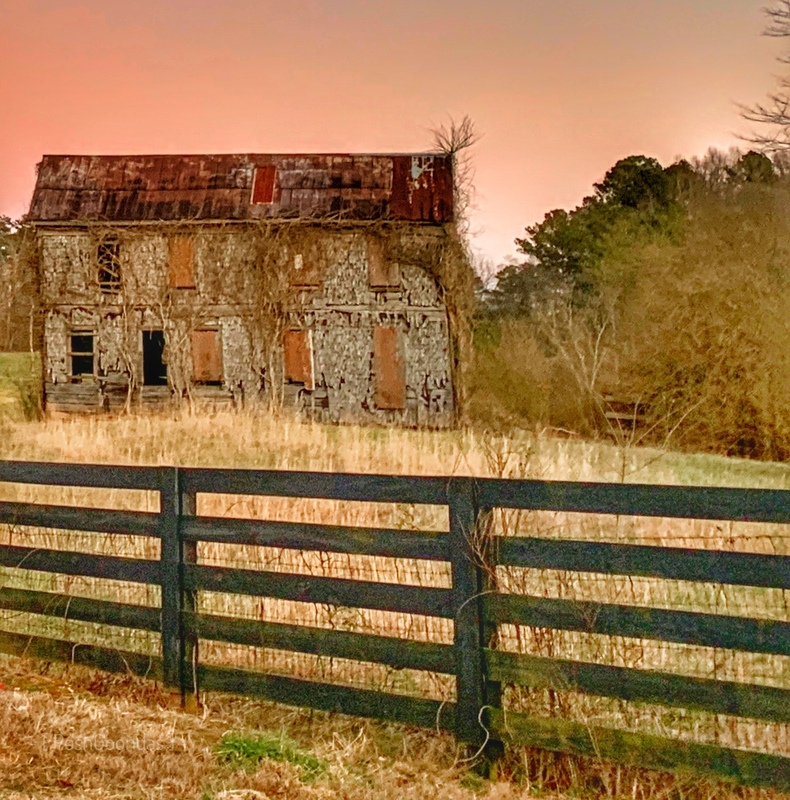 If the owner is interested in selling the property, help find a preservation-minded buyer, as well as a new use for the property. I’ve always been attracted to all things historical, especially local and recent history. I can only imagine, how this building must have been the active center of society in those times. A picture we can only see in movies depicting such an era. The tipping of hats, the neighing of horses, the sound of boots stepping across the wooden boards. The Shingle House has been listed as a building to be ‘saved’ to preserve history. I hope the Society is able to, giving the residents and visitors a glimpse into the past.